Used to compress spring type hose clamps in tight areas. Jaws are bent at a 45 degree angle and pliers tips to allow easy access to confined areas. A ratchet lock mechanism holds jaws open. 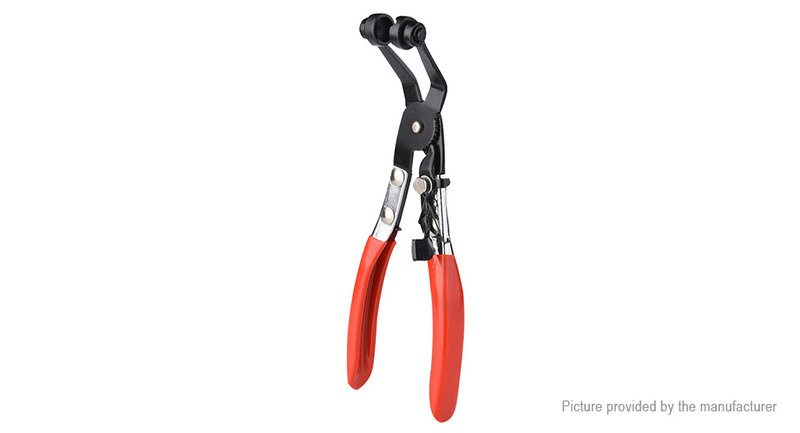 Works on most flat-band hose clamps.